With VoIP, your employees can communicate with customers from anywhere, at any time, through multiple channels. But what good does all that increased functionality do for your sales and customer support teams if they don’t know anything about the person at the other end of the line? That’s where Zendesk comes in. Using Vonage’s gUnify connector, Zendesk operates on your employees’ computers as a Chrome browser extension. Like other Vonage integrations, the Zendesk integration works in the cloud, with no need for any desktop installations. This ensures users can move around unconstrained while Zendesk does its job in the background. For SMBs, Vonage Business Cloud offers 3 pricing packages: Mobile, Premium, and Advanced. Premium and Advanced customers qualify for third-party integration including Zendesk, starting from $29.99/month per user, plus taxes and fees. Prices for Vonage Enterprise are provided on request. 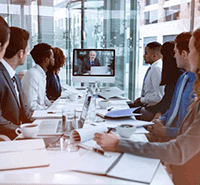 Vonage Enterprise is a private, managed, fully scalable system that comes in 3 tiers: Basic, UC, and Plus. 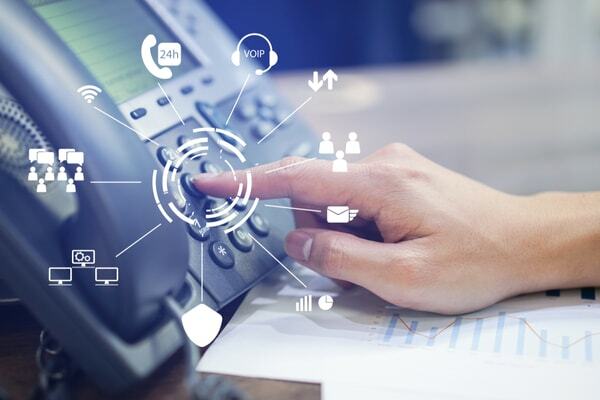 It includes the remarkably powerful Omnichannel Contact Center, a unified communication system that integrates your voice call center with chat, email, and other modes of communication. With it, Vonage integrates all of your communications technology into its cloud-based applications, allowing your teams to access Zendesk and other tools on one unified interface. For a deeper look at Vonage Business check out this Vonage review, or check out the Vonage website. RingCentral for Zendesk works within your business’s Zendesk account, and there’s no need to download any software. Supported browsers include Chrome 30 or above, Firefox 25 or above, Safari 6.0.5 or above, or Internet Explorer 10 or above. Zendesk integration is only available with RingCentral’s enterprise-level packages, Premium and Ultimate. These packages include integration with Zendesk, as well as Salesforce and Desk.com. They include a number of other features for large businesses, including custom app development and deployment, as well as multi-site support. The Premium and Ultimate plans range between $34.99 to $49.99 per month per user. New customers can try RingCentral with a 15-day free trial. For a deeper look at RingCentral check out this RingCentral review, or check out the RingCentral website. 8x8 Zendesk service is available through Zendesk’s 8x8 Virtual Office app. Uniquely, 8x8 integrates with Zendesk with all of it’s 3 packages, as long as you also subscribe to Zendesk Partner Edition, starting from $9 per agent per month. 8x8 offers the V8 Edition, designed for large, global businesses. Like the other packages, V8 includes Zendesk integration. But unlike the other packages, which are designed for small to medium businesses, the V8 package includes an inbound and outbound contact center plus “virtual office analytics” with real-time and historical information on all extensions and devices within your organization. For a deeper look at 8x8 check out this 8x8 review, or check out the 8x8 website. The MegaPath Connector is a simple plug-in that can seamlessly connect MegaPath Hosted Voice with Zendesk in a matter of minutes. The 2 larger of MegaPath’s pricing packages—MegaPath Premium Business (starting at $24.95 per user per month) and MegaPath Enterprise (starting at $39.95 per user per month)—integrate with Zendesk. Megapath Enterprise includes unlimited nationwide and global calling, plus more than 50 additional calling features ranging from call logs, line-status monitoring, and visual voicemail to call barge-in, for when a supervisor needs to take over a call. For a deeper look at MegaPath Business check out this MegaPath review , or check out the MegaPath website. To integrate OnSIP with Zendesk, simply download the free OnSIP Call Assistant to Chrome. OnSIP has a different pricing structure than its competitors in that there is only one baseline plan. It costs $18.99 per month per user in its most basic form, and then you pay extra for additional features such as Zendesk integration. To find out how much Zendesk costs your business, contact OnSIP directly. Given its unique pricing structure, OnSIP does not offer a specifically enterprise-level plan. However, with all of the features and integrations it makes available, OnSIP can answer to the needs of enterprise companies. For a deeper look at OnSIP check out this OnSIP review, or check out the OnSIP website. Using VoIP, your staff can communicate with customers by phone, live chat, or video, and share files back and forth at the same time. Team VoIP together with Zendesk integration and all that call data gets filed away automatically so your agents can focus on the most important thing—the customer. Enhanced productivity: As time-consuming customer interactions become automated and streamlined. Better customer interactions: Since mundane tasks, such as call notes, are automated, agents can focus completely on the customer. Higher ROI: According to a 2017 study commissioned by Zendesk on the economic impact of its software on 7 companies ranging from 15 to 350 customer-support agents, these companies benefited by an average of $180,000 per year by using Zendesk. This was due to factors like increased efficiency and improved customer retention, as well as avoiding license and maintenance costs of previous software. These are some of the things to look out for when choosing a VoIP provider for your sales and customer support teams. Mobile integration: With good mobile VoIP, your sales reps can make calls from the company directory, listen to voicemail, record calls, and participate in conference calls from anywhere. Enterprise packages: With tailor-made services and a plethora of functionalities, if you can dream it, they can probably make it happen. When you combine one of these top-notch VoIP providers with Zendesk integration, you truly get a combination that is worth more than the sum of its parts. Just considering the ability to keep automated digital records of conversations—audio as well as auto-transcribed—makes this combination a winner. Add to that that the prices of VoIP services are actually cheaper than old-fashioned phones, and add to that all of the other features and integrations available, and you’ve got yourself the no-brainer of the century.